Street-inspired shoes have made a strong entrance into the golf market over the past year and one of the newest and most notable offerings is the Ashworth Cardiff. 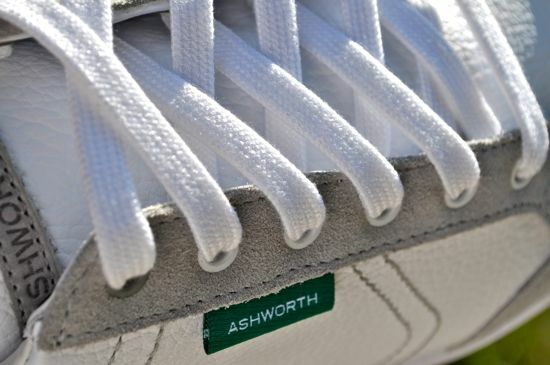 While Ashworth is primarily known for the their clothing, they have done an incredible job in their freshman entrance into the golf shoe market. 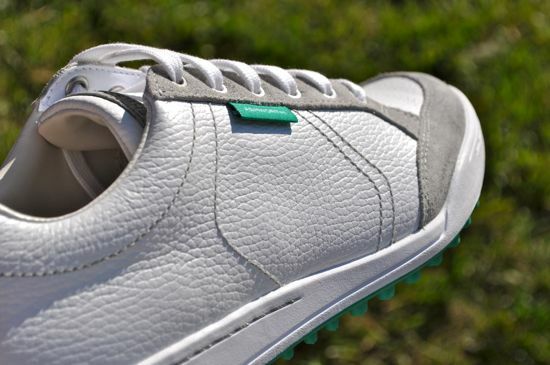 The Ashworth Cardiff is a comfortable, stylish, and more-than-capable golf shoe. While the shoes felt a bit stiff when I first slipped them on, they ended up being extremely comfortable without the need to break them in. The leather and soles of the shoes aren’t as stiff as most traditional golf shoes and the stiffness ranks somewhere in the middle of the street-inspired shoes that I’ve worn. The only stiffness that is noticeable on the course is in the side-to-side stability of the shoe which gives the shoe a solid feel while also being comfortable enough to walk 18. The styling and the craftsmanship of the shoes are both immediately noticeable. In terms of color ways – Ashworth has introduced a line of shoes that offers some great color combinations that you don’t see on the course very often. The mixture of leather (the base material of the shoe) and suede (lining the toe-box and laces) make for a great looking golf shoe that is more stylish than just about anything else out there. The Cardiffs feel and look like a high-end casual shoe. On the course, the shoes were extremely comfortable and the spike-less soles provided great traction without slippage. The full row of laces in the shoes allow for tweaking the fit beyond the typical options available for most traditional golf shoes. 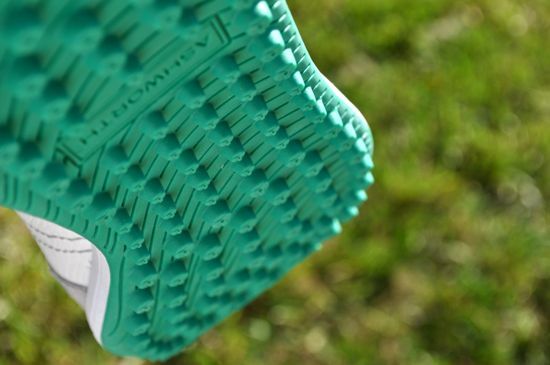 The Cardiffs come with a two-year waterproof warranty. I played a few rounds of golf in Irene and the shoes stayed dry until the very end of the round (when the downpour did result in water making it’s way into the shoe). In light or medium rain – the shoes have stayed dry for me. I’ve been very impressed with the ability of the Cardiffs to stay clean. Although the pair that I reviewed was white-on-white, the shoes have avoided any scuff marks or grass stains, and appear to show no signs of wear-and-tear. I’ve walked courses with fresh-cut grass, walked through some extremely wet and muddy conditions during Irene, and played with the shoes on courses that are positioned on top of unforgiving North Carolina red clay. In all of these cases – a simple wipe with my towel seems to remove all the debris and has avoided staining the shoes or leaving any marks or discoloration on the shoes. If you’d like to see some more pictures of the Ashworth Cardiff, you can check out the Ashworth Golf Cardiff Photo Album that we have posted on facebook.